This month we spoke with Patty Villane, Employee Wellness Coordinator at Orange County Public Schools. Patty gives us a peak into this huge organization known as OCPS. 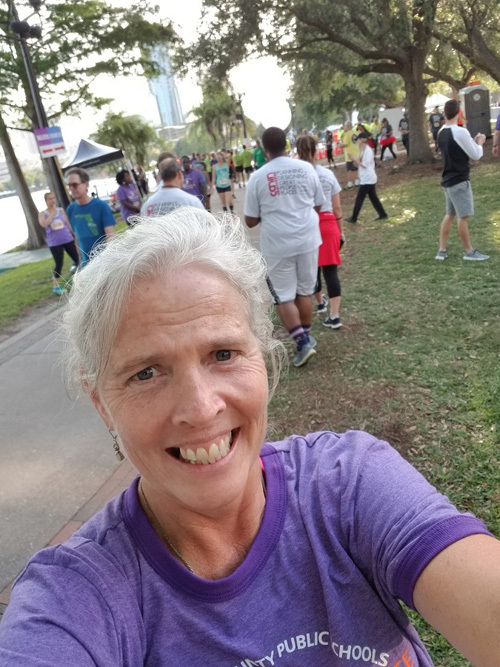 She also tells the story of one particular Program Coordinator, Cindy Hudson, what her job is like and what it means for her to be able to run… again! As I looked at my 17,000 friends who decided to join me at the 2018 Annual IOA Corporate 5k, I realized that I hadn’t done a good job of keeping up with them. What had they been up to since last April? Some had probably experienced life-changing events. Others may have maintained the status quo. All those people. All those experiences. I thought about my Orange County Public Schools’ (OCPS) teammate, Cindy Hudson. She believes that every person who comes through the door of Student Enrollment at OCPS has a story to tell. She listens to tales of friends and hometowns left behind, told with mixed emotions of moving to a new place and starting a new school. Cindy, who is an avid runner/walker, puts the same passion into her job as she does her fitness. Her title reads “Program Coordinator,” which means she helps registrars at all 191 Orange County schools. In her role, she also troubleshoots problems with student records to ensure the accuracy of demographic information. Student Enrollment stays busy throughout the year, welcoming all those who come from another part of the country or another part of the world. With a student enrollment of 207,253, OCPS is the fourth largest district in Florida and ninth largest in the country. Students come from 194 countries and speak 170 different languages and dialects. In fact, English Language Learners make up 14.8 percent of our student population. In short, we are a mini- United Nations! In Student Enrollment, Cindy and her colleagues often serve as the first point of contact for many of these students and their families. She says: “I always imagine what it’s like to be in their shoes. I think about what I would feel like if I moved to another country and wanted to enroll my child in their school system. What if I couldn’t speak their language or didn’t know where to live or work?” Although she has spent the last seven of her 29 years in OCPS with Student Enrollment, Cindy maintains a special sensitivity to each person who walks through their doors. Cindy also has a story to tell. Last summer, she suffered a brain aneurysm. “When I turned my head, there was excruciating pain,” she says. “I felt like my head was filling with fluid.” Doctors were able to control the bleed, thus preventing a stroke. However, she still spent three weeks in the ICU and missed several months of work. She was not allowed to run and had to be very cautious about walking. It has only been in the last four to five months that she has been cleared to drink coffee again! 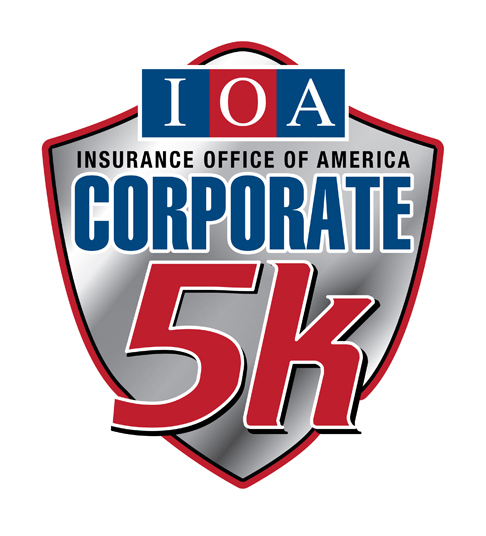 If you or someone you know is looking to recharge your active lifestyle through walking or running plan to be a part of the IOA Corporate 5k on April 18, 2019. It’s an office party with a 5k and attracts 50% new participants each year. Registration opens August 2018. Go to www.Corporate5k.com.